Unlike the previous versions of Windows, Windows 10 receives major feature updates once every six months. i.e, two times a year. With every major update, Microsoft is improving its design and introducing several new features like themes, sets, timeline, ability to secure local user account with security questions, ransomware protection, etc. As such, everytime you want to enable, disable or manage these new features, you need to know what version of Windows 10 you are using. Obviously, at the very least, you should be using Windows 10 with the lasted update. For example, to use ransomware protection you need to be using fall creators update, to use timeline you need to using April 2018 update, etc. The good thing is, it is very easy to find which version of Windows 10 you are using. 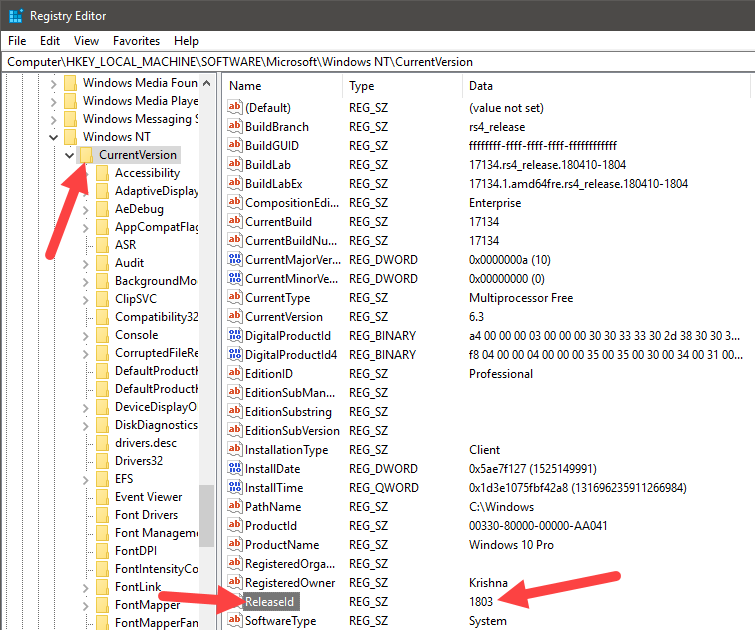 There are multiple ways to find Windows 10 version number. 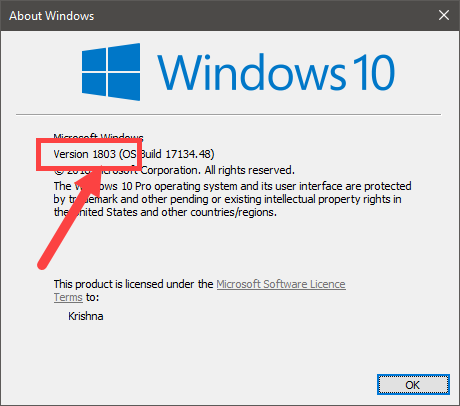 Let me show you a few of those methods to find the version number of the installed Windows 10. Follow the method you are comfortable with. The easiest way to find which version of Windows 10 you are using is to use a simple Run command. 1. Press Win + R, type "winver" and press Enter. 2. The above action will open the "About Windows" window. On the second line, you will see the version number. In my case, the version number is 1803. a.k.a Windows 10 with April 2018 update installed. Note: You can generally ignore the build number. It changes almost every time you install a weekly Windows update. 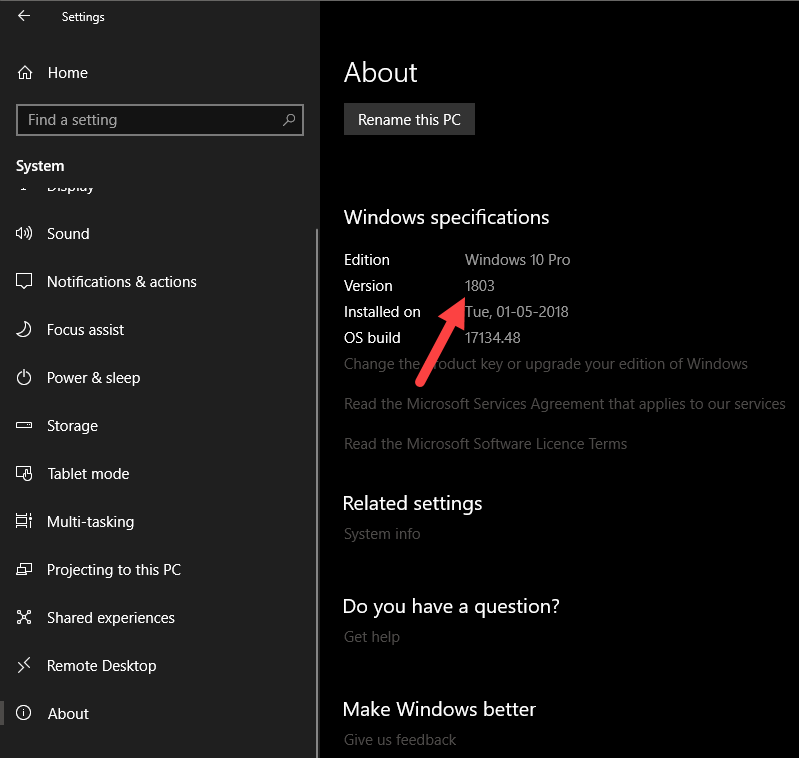 Alternatively, you can also find Windows 10 version number from the Settings app. This method is useful if you want more structured and additional information. 1. Open Settings app from the Start Menu or by pressing the keyboard shortcut Win + I. 2. Now, go to "System -> About." 3. On the right panel, scroll and you will see the Windows version number next to "Version" under Windows Specifications section. You can also see the Windows 10 version number from Windows Registry Editor. The method is not that user-friendly, but it one of the ways if you ever need. 1. First, search for "regedit" in the start menu and press Enter to open Windows Registry. 2. 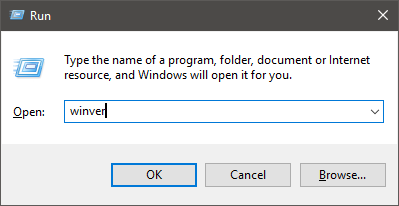 In the Windows Registry Editor, go to the following location by copying and pasting it in the address bar. 3. Once you are, you can see the version number of the right panel next to the value "Released." That's about it. It is that simple to find which Windows 10 version you are using. Hope that helps. If you like this quick tips, you might also like to know a simple way to configure Windows to automatically set a new beautiful wallpaper every day.